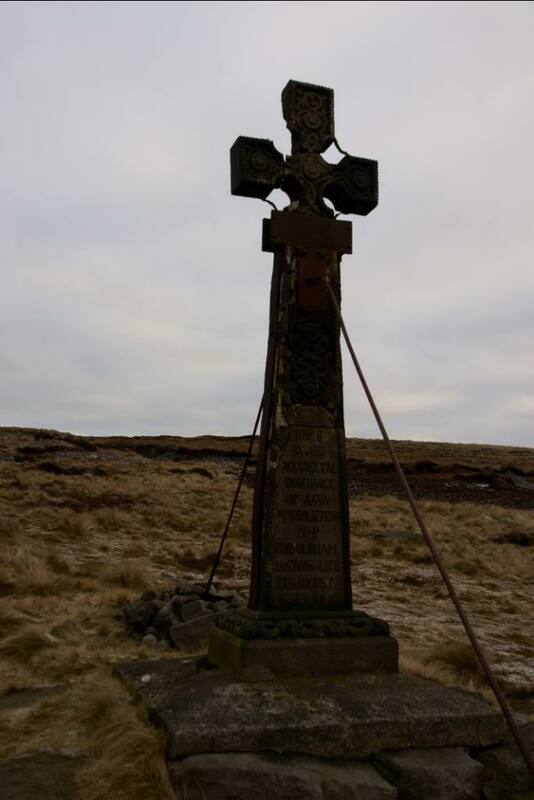 On this day in 1857, a shocking and tragic accident took place on the moors above Ashway Gap, near Saddleworth. One of Oldham’s recently elected Liberal MPs, James Platt, was shot dead by his close friend and relative, Josiah Radcliffe, the mayor of Oldham. Radcliffe’s gun had discharged accidentally after he stumbled while they were out with a shooting party on the moors, hitting Platt in the lower leg. The ‘innocent cause of the calamity’, Radcliffe was ‘beside himself with grief’ and ‘took Mr Platt round the neck and bewailed his fate in the most heart-rending tears’. Platt was carried to his family’s newly constructed summer residence nearby, where doctors were hurriedly summoned, but died just over an hour later, having suffered extensive blood loss. His family declined the suggestion of a public monument, but commemorated him with a memorial cross on the moors. Just five months earlier, Radcliffe had presided as returning officer at Platt’s election as MP for his native borough. With his older brother John, Platt was a partner in the largest machine-making firm in the world, Platt Bros. & Co., which manufactured machinery for the textile industry in Britain and overseas. His engineering and marketing ability helped the business, founded by their father Henry in partnership with Elijah Hibbert, to flourish. The Platts bought out the Hibberts’ interest in the firm in 1854. Alongside their business interests, the Platts took a leading role in the campaign for the rapidly expanding industrial town of Oldham to be incorporated as a municipal borough. When their efforts bore fruit in 1849, James Platt was elected to Oldham’s first town council. Although he was defeated in 1852, he was re-elected as a councillor in 1853 and chosen as an alderman in 1856. Renowned for his local benevolence, he took a particular interest in educational causes, believing that ‘ignorance is … the parent and perpetuation of error and misery’. From 1848 until his death he served as president of the Oldham Lyceum, founded in 1840 as a mutual improvement society for working men. As with many of the MPs we have researched, Platt’s civic service acted as a springboard for a parliamentary career. In 1856, supporters of William Johnson Fox, one of Oldham’s sitting Liberal MPs, approached John and James Platt to ask if either would be Fox’s running-mate at the next general election; while John declined, James accepted. Divisions among the local party meant that he and Fox faced a rival radical candidate, John Morgan Cobbett. 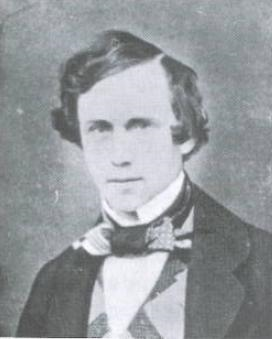 During the contest in March 1857, Platt emphasised his local credentials and expressed support for the extension of education, the ballot, shorter parliaments, the redistribution of seats, universal suffrage, disestablishment of the Church and the admission of Jews to Parliament. When it became apparent during the polling that Platt would take the second seat behind Cobbett and ahead of Fox, he mooted retiring in Fox’s favour, but this was not pursued. Platt’s untimely death produced a flurry of tributes. The Manchester Examiner and Times praised him as ‘a rising man’, whose opinion was sought by the government, and claimed that ‘it was the general feeling in the House that Mr. Platt would one day distinguish himself greatly’. This picture of him as a promising parliamentarian appears to have been justified. Although Platt made only three contributions to debate during his brief spell in the Commons, he demonstrated his commitment to advocating the needs of industrial Lancashire. His first speech, 29 June 1857, emphasised the benefits for manufacturing in assisting the development of art in Britain. Earlier that month he had attended the annual dinner of the Society for the Encouragement of Arts, Manufactures, and Commerce. Platt was involved with the Cotton Supply Association, a Manchester-based organisation which aimed to reduce British dependence on the supply of American cotton by promoting cultivation elsewhere. This prompted him to speak knowledgeably on the advantages of encouraging railway construction in India, in order to cut the costs of transporting cotton from that country, 17 July 1857. His final contribution, 10 Aug. 1857, reflected his long-standing interest in the provision of public parks in northern towns. Platt’s death left Oldham to mourn the loss of ‘a kind friend, a good neighbour, a beneficent townsman, an honest representative’. 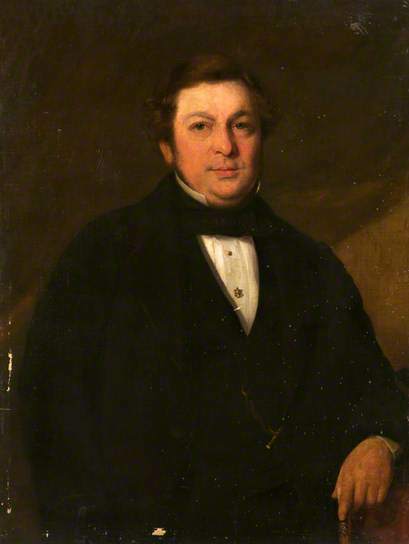 His seat was filled by his former running-mate, William Fox, but the Platt family’s parliamentary connection with Oldham was renewed in 1865 when John Platt was elected, serving as MP until his death from typhoid in 1872. This entry was posted in Biographies, MP of the Month and tagged Biographies, deaths, MP of the Month, Oldham. Bookmark the permalink.